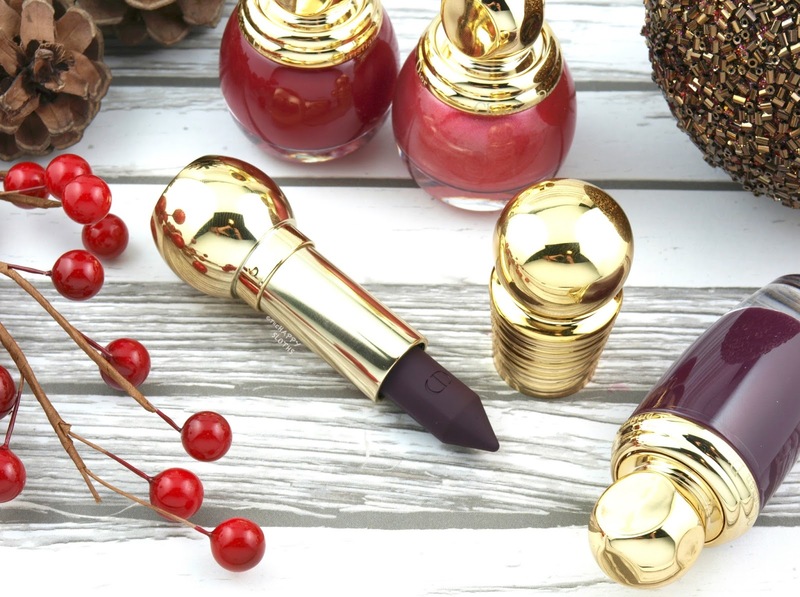 Dior Holiday 2017 | Diorific Khol Powder Lipstick in "991 Bold Amethyst"
Housed in the traditional holiday Diorific Lipstick packaging, the Diorific Khol is described as an ultra-pigmented and long-wearing powder lipstick. Instead of a classic slanted teardrop shape, the tip of the Diorific Khol is tapered to a point. Formulation-wise, this is a pretty standard lipstick. It's very moisturizing and creamy so I'm not sure where the "powder lipstick" part comes in play. 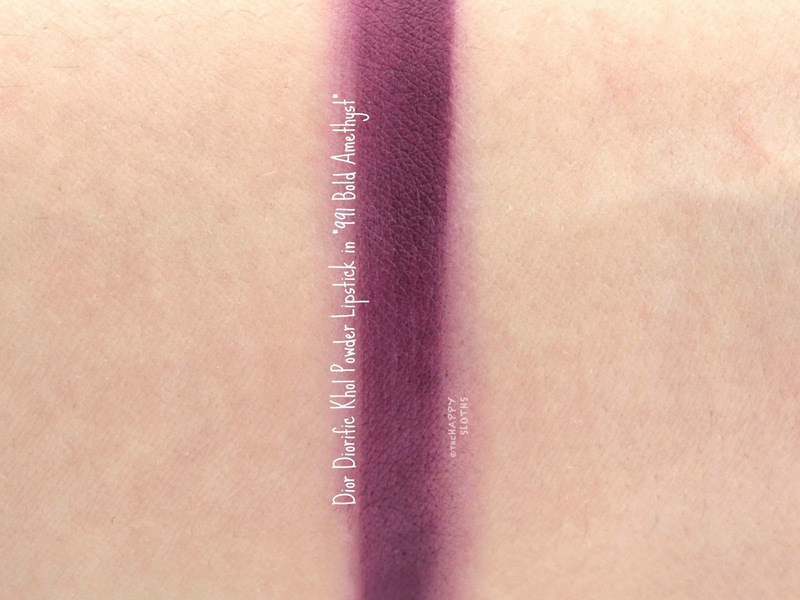 "991 Bold Amethyst" is a deep vampy plum. Unfortunately, the pigmentation is very patchy. I tried pretty hard to build it up but the color just kept on sliding around on the lips. Additionally, the tapered bullet shape is actually a bit awkward to work with. I ended up having to use a lip brush to get a clean line around the lips. Lastly, the wear is just okay; the cream finish does not set and easily smudges with eating or drinking. Dior Holiday 2017 | Diorific Matte Fluid in "008 Intensify"
Packaged in a luxurious glass bottle equipped with a standard doe-foot applicator, the Diorific Matte Fluid is dual-purpose lip and cheek color with a matte finish. 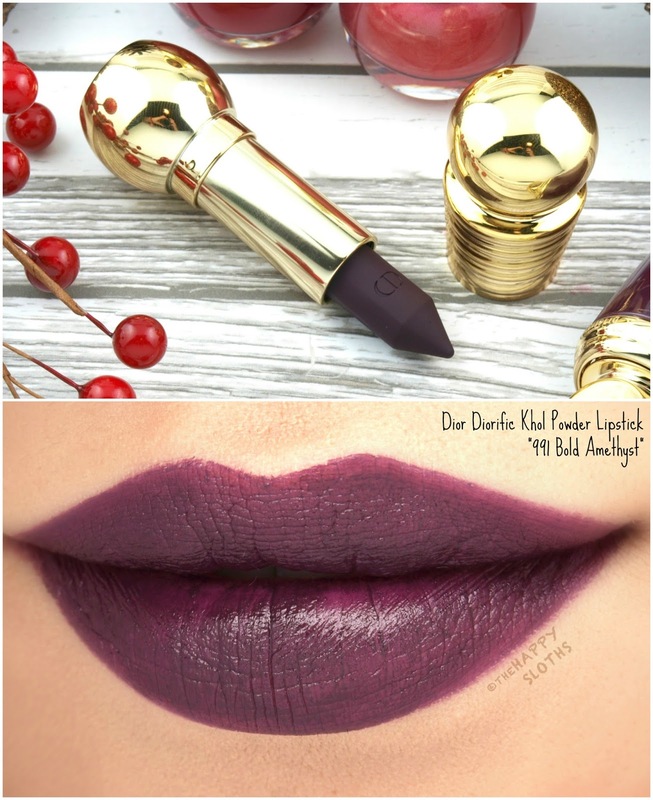 "008 Intensify" is a rich deep plum, very similar to the Diorific Rouge in "991 Bold Amethyst" (see above). The product has a light cream consistency and the formulation has a strong chemical smell. 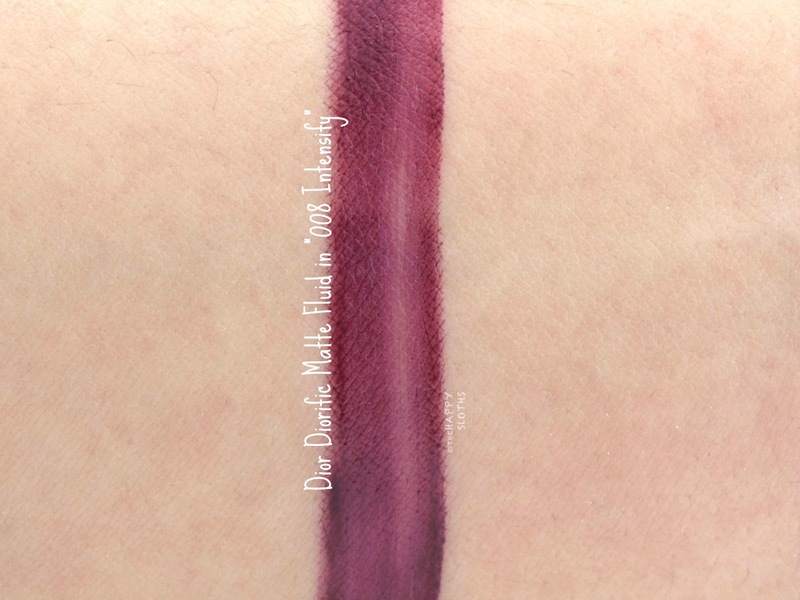 This shade is pretty patchy but it is buildable to a somewhat presentable coverage. The color will set to a very matte finish and it is mostly smudge-proof. 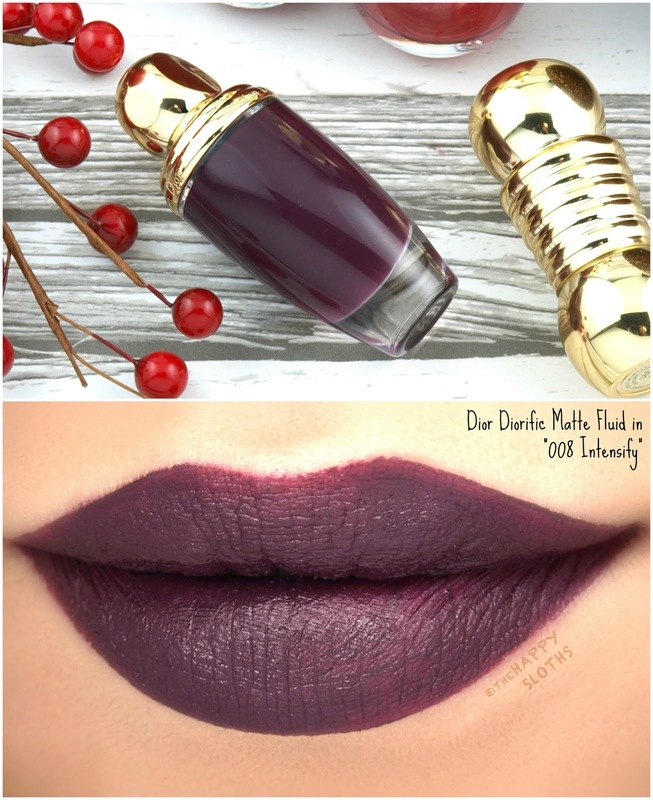 Because "008 Intensify" is very dark and vampy, I can't see myself using this on the lips or the cheeks but the collection has several more festive colors that are worth looking into. 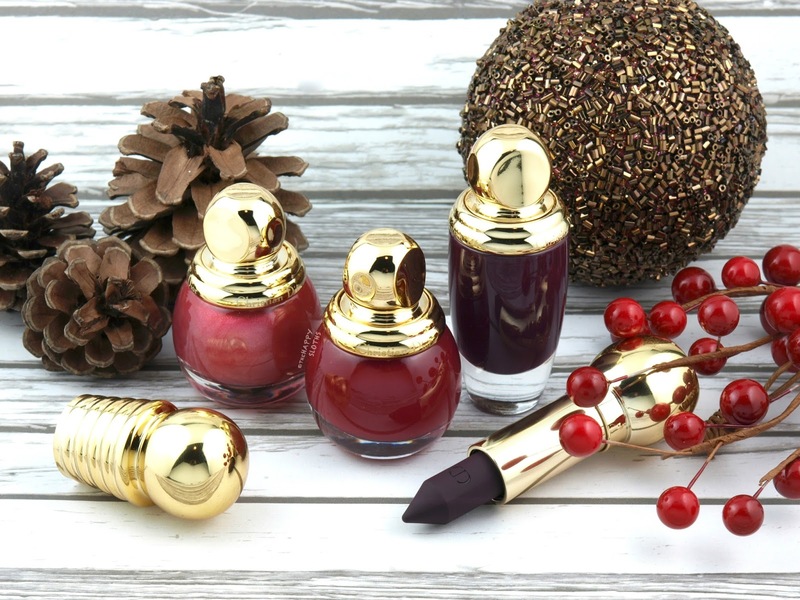 Housed in a festive bauble-like bottle, this special edition Dior Vernis is a unique shimmery red polish with a strong hint of pink. In the bottle, the color appears sheer so I was quite surprised with how pigmented the formulation is. One coat gave a smooth and opaque coverage but I used two just in case. 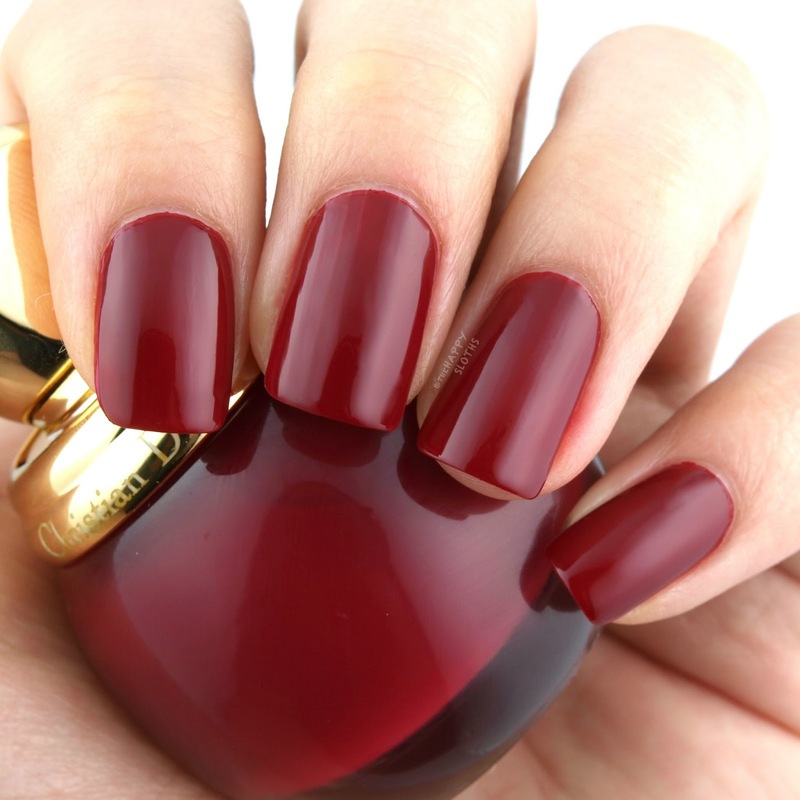 Although appearing quite pink in the bottle, this is a classic deep red nail color perfect for the holidays. The formulation is buttery, even, and incredibly pigmented. I used two coats for the swatches below. What are your thoughts on this collection? 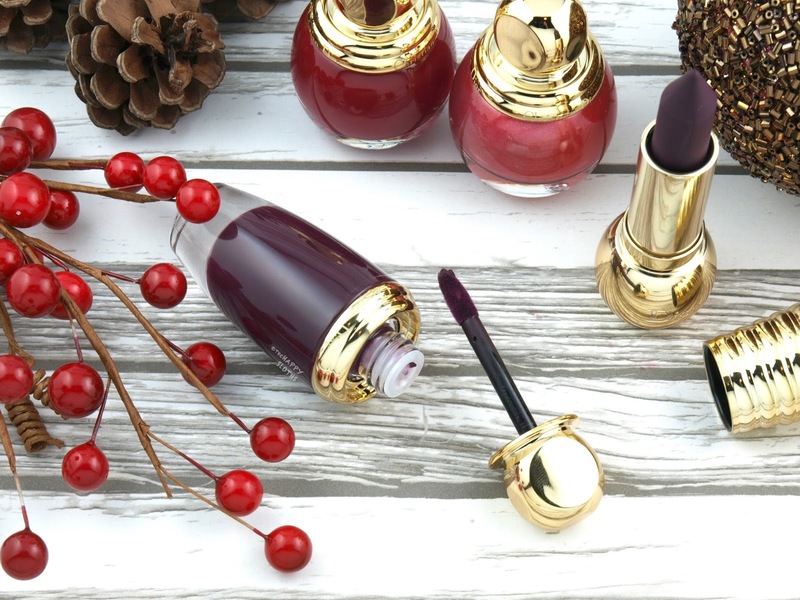 Are you a fan of super vampy lip colors? Share with me in the comments below! Dior is available at Sephora, The Bay, Shoppers Drug Mart, Holt Renfrew, and Nordstrom.